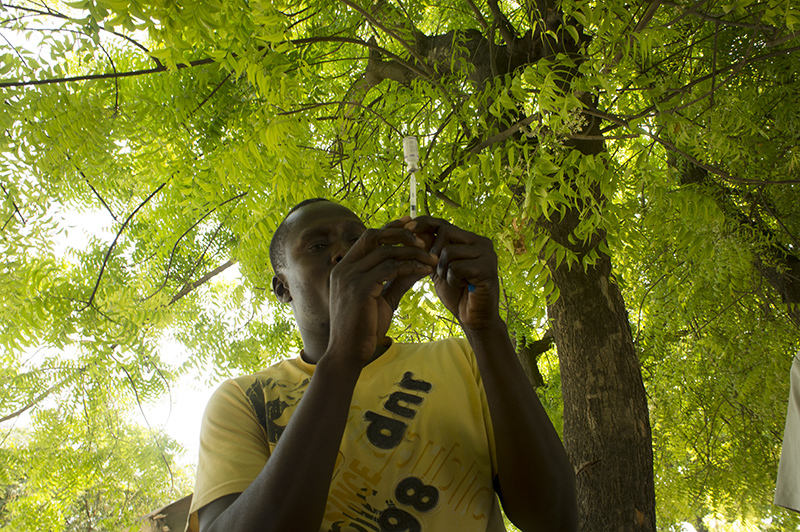 Casimer Dieuvela, 24 years old and five months pregnant, lives two to three hours walk from her monthly health post in Deschappelles, Haiti, but she goes despite the distance to receive her tetanus shot. It’s her third time coming to the health post run by health agent Junior Exanthus and arranged by Hôpital Albert Schweitzer (HAS). 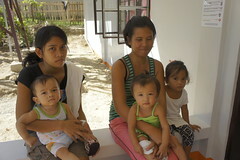 Dieuvela brings her daughter to receive her full course of vaccinations. 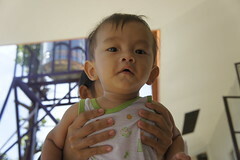 HAS also immunizes pregnant women for tetanus. Last year there were 1,332 first doses and boosters administered. Maternal and newborn tetanus (MNT) is an extremely deadly disease, but can be prevented through immunization, proper cord care, and hygienic birthing practices. Without care and immunizations, tetanus has a 100 percent death rate. In Haiti 1.3 million women between the ages of 15 – 49 are at risk of contracting tetanus. The World Health Organization effectively started initiative campaigns to eliminate maternal tetanus in 1999 with a goal year of reaching the goal by 2015. Thus far, 36 of highly affected countries have reached their goal to eliminate maternal tetanus. Haiti is not one of those countries. In fact, Haiti accounts for 50 percent of all maternal and newborn cases of tetanus in the Western Hemisphere. Since 1999, 129.5 million expectant women have been immunized against tetanus. According to the WHO, MNT remains a major public health problem in 23 countries. 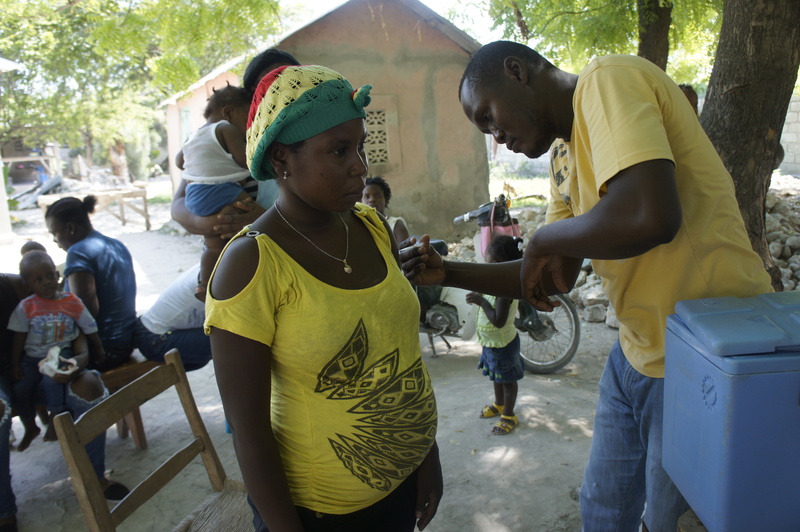 Expectant women receiving tetanus vaccine in Deschappelles, Haiti. In order to eliminate maternal tetanus, more women in remote areas need to be vaccinated. GAVI has committed to over $20 million dollars in vaccines and health systems strengthening through 2020. As of Feb 28, 2015, a little over $10 million has been disbursed. Previous PostInfographic: 2015 Mothers’ Index RankingsNext PostFeatured Video: #WhatIsPossible for Global Maternal Health?